Make sure you are prepared. Disaster recovery and backups are an essential precaution. All business owners should understand the value of minimizing risks as much as possible. Unfortunately, during the day-to-day aspects of running a company, it is easy to miss out on some of the biggest opportunities to plan ahead and to mitigate risks by using a comprehensive backup and disaster recovery plan. Any business owner who has gone through the negative experience of a lack of accessibility to their company network and limited, if any, operations during the backup and disaster recovery process, can testify to the benefits of conducting this planning well in advance. No digitally active company in 2017 can afford to lose access to their data. Whether the loss of data is due to human error, a cyber-attack or a natural disaster, data loss is very risky and extremely expensive. This is why the time and money proactively invested in the backup and disaster recovery solution can minimize risks and give business owners peace of mind. They will definitely sleep better knowing that they have taken all the necessary steps to protect the company they have worked so hard to build. The truth is that even when business owners are aware of the risks surrounding cyber-attacks and other problems, they usually fail to plan to avoid them or to minimize their associated costs. This can be disastrous for the company, even if the downtime is only for a few days. The more alarming news is that far too many business owners do not realize this until it is too late. Any extended downtime can have a huge impact on small businesses that allow their false sense of security to get in the way of proper planning. Too many small business owners assume that they will not be an attractive target for a cyber-attacker because they handle a relatively small amount of data in comparison to major corporations. Or, they assume that the risks of a natural disaster are so small that it’s not worth sweating over. Allowing these assumptions to prevent the development of a comprehensive backup or disaster recovery plan can be a costly mistake, and may even prove fatal to your business. First of all, smaller businesses are actually exposed to a greater amount of risks because attackers know that these smaller companies frequently don’t plan ahead or pay enough attention to cybersecurity. It’s often easier for cybercriminals to get access to the data inside a small business because the companies often simply don’t take the time or have the internal resources to guard against it. They assume that with their small amount of data, there is no point to expending the effort or expense. An increasing number of company owners, however, wish they could go back in time and take the proper steps to safeguard their system from disaster. An IT professional can save you big in the long run. We recommend getting a disaster recovery consultation from you local IT vendor as soon as possible. While major companies realize that they are exposed to big risks if something happens to their data, and therefore are more likely to have a plan in place in case something happens, this is frequently not the case for smaller companies. Most troubling is that because of their comparative lack of resources, just a few days of downtime for a smaller company could put the business at risk of closing entirely. In short, data backup and disaster recovery solutions involve a comprehensive system to minimize data loss, maximize productivity and ensure uptime in the event of a cyber-attack, disaster, or any other situation that negatively impacts normal business operations. Much like an insurance policy, a backup and disaster recovery solution is an investment that keeps a business safe when trouble occurs. With the surge of cloud computing as well as big data in the office, it is becoming increasingly complicated for businesses to secure private data, yet it is also equally important for them to protect this data. Juniper research recently reported that the expense of breaches and attacks are projected to top a staggering $2.1 trillion by 2019. One of the leading reasons for this, as mentioned previously, is that some small businesses do not often make security a top priority. Smaller data breaches, however, often come at a crippling cost. A recent report from Verizon indicates that even a minor data breach can cost up to $35,730, which can be game-changing money to a small business These eye-opening figures underline why it is essential for small businesses to implement a backup and disaster recovery program. The truth is that businesses of all sizes can benefit from advanced planning. Protecting profits and assets should be a concern for any business owner, and a backup and disaster recovery plan can be aligned with the size and unique needs of each individual business. Much like an insurance policy, the BDR plan can swoop in to save the day when an unexpected event happens. In some cases, the presence of such a plan may even save the company. No one anticipates finding their business in harm’s way as a result of a natural disaster, cyberattack, or employee mistake, but all of these are possible and all of them carry significant consequences. That’s why it’s worth developing a plan that guards against each one. Don’t wait until it’s too late to have a plan that helps when disaster strikes. The cost of trying to recover from one major incident can be too much for a small business to bear. It may take weeks or months to get back on track after just one major problem, whereas a backup disaster recovery plan helps to minimize the damage and get the business back up and running as soon as possible. All of the benefits outlined below are main reasons why any business owner should consider a backup and disaster recovery plan. Reduce your risk. Recovering your data can be a headache after a disaster, but it is better than going out of business. The first is that it protects against natural disaster risk. 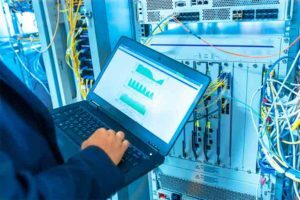 Whether it is hurricane, earthquake, blizzard, flood, or any other natural disaster, there are numerous different situations that can occur within a matter of minutes that can lead to your business experiencing devastating downtime. 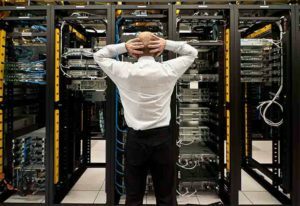 Secondly, more than 90% of companies going through some kind of disaster experience a minimum of seven days of downtime for a data center, according to the National Archives and Record Administration. An even more disturbing fact is that most of those businesses close within 12 months. 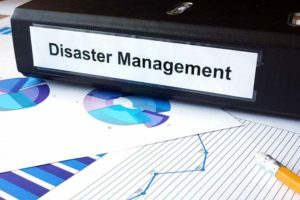 Although a backup and disaster recovery plan cannot completely prevent all of the implications of a natural disaster, it will help to protect data and give peace of mind that the downtime doesn’t compromise the financial future of the company. A backup and disaster recovery plan also keeps clients’ data safe. In the event that you keep a lot of confidential customer data, you cannot afford to have this slip into the wrong hands, particularly in a cyber-attack. A big reason why you should strongly consider a backup and disaster recovery plan is to avoid seriously harming your brand’s reputation or cost you current and future business. Furthermore, a backup and disaster recovery plan assists with minimizing the impact of these attacks and risks. As more data is added online every single day, criminals are only expanding their efforts to attack small businesses that they suspect, and are correct in believing in many cases, are fully unprotected. The overall weakness of the security maintained by many small businesses make them an easy target for probes and attacks. The fourth reason that a backup and disaster recovery plan is essential for a small business is because individuals can make mistakes. Although cyber-attacks and natural disasters can certainly have a big influence on the future of your company, the truth is that your employees may also be exposing you to significant data losses as well. One bad choice could compromise critical data. For this reason, it is essential to have a backup plan and adequately train employees in data management and security protocols. The final major reason that all small businesses should consider a backup and disaster recovery plan is because systems are not infallible. Even systems with guarantees of 99% uptime will also inevitably encounter issues and experience some downtime. No system, no matter how expensive, is completely fail-safe. In summary, a small business can best mitigate their risks by developing a comprehensively robust backup and disaster recovery plan. When looking for the right solution, consideration of the following elements is crucial: scalable pricing, hardware compatibility, a strong reputation, and regular access to support. Most importantly, don’t delay your search for the right solution due to dangerous assumptions or limited resources. Take prompt action to guard against risks and minimize downtime with the right backup disaster and recovery solution for your company. Contact Network Depot for more information on this and any other IT issues.